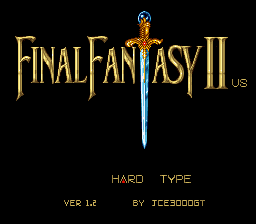 Someone asked me to make a Solo Cecil edition of my famous FF2us HardType +…so I did. 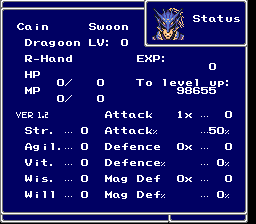 I’ve also made a Solo Cecil Edition for the regular FF2us which is included in the RAR. I had to give Tella and Cefca some stats because they have to be able to be alive during their battle sequences. 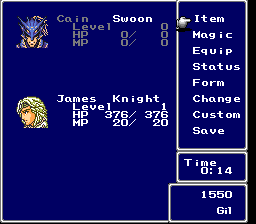 And obviously at the end of the game you need to have those other two attacking Zemus. I will be editing the events to remove these battles so you won’t even NEED party members at all.